There’s something about the number seven. Seven colors in a rainbow (red, orange, yellow, green, blue, indigo, violet). Pre-moderns counted seven celestial bodies (Sun, Moon, Mercury, Venus, Mars, Jupiter, Saturn). The earth, we learned in school, has seven continents (though, frankly, the basis for counting Europe as a separate continent from Asia is more cultural than geological). Sail the seven seas and see the seven wonders of the world – before you get the seven-year itch. Your phone number, not counting the area code, is seven digits. There’s a reason for this. Bell laboratories research in the 1950s found a steep drop-off between humans’ ability to recall a seven-digit number and ability to recall an eight-digit number. Perhaps seven is significant for us because of the way our brains are built. We love to make lists of seven items. 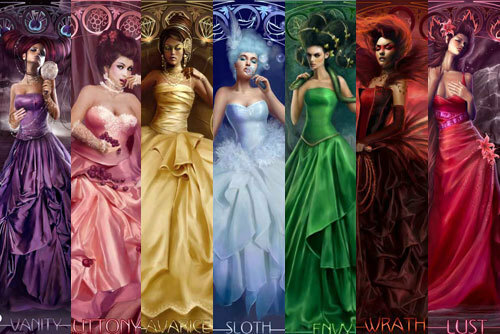 One of these is the seven deadly sins. Can you name them all? No, they are not, "Sleepy, Dopey, Grumpy, Bashful, Sneezy, Happy, and Doc." Those would be the seven dwarfs in the Disney "Snow White." "Temperance" is on both virtue lists. The Latin caritas translates as both "love" and "charity," so we can say it's also on both lists. "Diligence," from the Latin industria, carries a connotation of fortitude, which carries a connotation of courage -- so maybe that's also on both lists. The other four -- "prudence/wisdom," "justice," "faith," and "hope," -- are replaced by "patience," "chastity," "kindness," and "humility." I was glad to see the Pope's interest in reducing the first five items, and I wished the last two items had been left off. Many better ways to bring the list to the magic number seven were available. Overconsumption of resources, exploitation of labor, undermining or failing to support: public education, full equality for girls and women, gun control, immigrant rights.... I have many helpful suggestions, and will return calls from the Vatican. 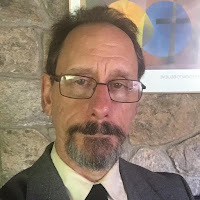 The temptation to make a seven-item list of special significance has not passed by the Unitarian Universalists either. We have our seven principles! (HERE) Some of us call them the seven lively principles to stand over against the seven deadly sins. What motivated Pope Gregory I’s traditional list of seven deadly sins? And why those seven? After all, the seven deadly sins are not listed in the Jewish or Christian Bible. What is in the Bible are the Ten Commandments, the violations of which amounts to a list of sins: idolatry, swearing, sabbathlessness, filial disrespect, murder, adultery, theft, deceit, covetousness. (Count only nine? Some traditions split "idolatry" into two to get ten, and other traditions split "covetousness" into two. There's a handy table in Wikipedia's "Ten Commandments" entry: HERE.) Given the centrality of the Ten Commandments in our Judeo-Christian heritage, wouldn’t those be the main sins? There are seven, here – quite different from Gregory the Great’s list (only pride – “haughty eyes” – made the cut for Gregory). These seven, though, aren’t nicely encapsulated in a single word each. Despite these various Biblical sources for sin lists, early Christian thinkers felt a need to create a different list. In the fourth century, Evagrius of Pontus, made a list of eight “evil thoughts.” He almost, but not quite, grasped that seven is the magic number. When, over two centuries after Evagrius wrote his list, Pope Gregory I created the seven-sin list that became so widely known, Gregory only had to do a little tweaking of Evagrius. Gregory kept "gluttony," "greed/avarice," and "anger/wrath" from Evagrius' list. Evagrius and Gregory both listed acedia, though, for Evagrius, the term meant dejection, while Gregory and subsequent writers explained the term in a way that gradually made "sloth" the better English translation. Evagrius had listed the actions, "prostitution and fornication," which Gregory replaced with the psychological state, "lust." Evagrius used the Greek work lype, which generally means sadness; Gregory shifted to a more specific focus on sadness related to comparing oneself to others, "envy." Evagrius had hubris and boasting (or vainglory) as two separate sins, which Gregory combined into one, "pride/vanity," thereby getting the list down to seven. Saint John Cassian, shortly after Evagrius, also had a similar list of vices, leading up to Gregory stamping Papal imprimatur on “the seven deadly sins.” What these church leaders were trying to do was identify the root sins. The seven deadlies are not the most serious offenses. A little envy, or a touch of pride is not as serious as lying, cheating, stealing, and murdering. Rather, the seven deadlies were seen as the origins, the root causes, of the more serious sins. Envy, vanity, anger, sloth, lust, gluttony, or greed could lead you to lie, steal, or kill. These early church figures were developing a kind of theological psychology. If a person could purge themselves of these seven, none of those other sins would tempt. Indeed, precisely because these seven so often occur in mild form, and are universal, or nearly so, the seven deadly sins constitute an agenda for spiritual work for everyone. The project of coming to terms with these root bedevilments of the human condition is necessary for our healing and wholeness. We might quibble with Gregory the Great’s list. Idolatry, for instance – broadly defined as attachment to a fixed concept or image, to the detriment of open-ness to the dynamic freshness of each moment – is at the root of a lot our suffering, and in some ways may even be the root from which these other roots spring. Still, by and large, Pope Gregory has given us a good list, attention to which reveals insights of meaning, power, and possibilities of liberation. But entirely purging any of these seven is neither necessary nor desirable. Indeed, we need every one of them, and for that reason, they are always with us -- our taunting companions, as theologian Phyllis Tickle calls them.